Rack Room Shoes may collect certain information that personally identifies you when you voluntarily provide it to us, such as your name, mailing address, billing address, e-mail address, phone number, date of birth and, in regard to online purchases only, your credit card number (“Personal Information”). We collect such Personal Information when you purchase items online, sign up for the Rack Room Shoes Rewards program, sign up to receive discounts, promotions and perks, email us or submit an inquiry using the “Contact Us” submission page or participate in one of our contests, sweepstakes or online promotions (as applicable). We may also collect Personal Information concerning gift recipients (name and mailing address) for the sole purpose of fulfilling gift orders. Please note that we may also obtain Personal Information from publicly available sources as well as other sources, as permitted by law, and combine that with information we collect through our Site. For example, we may collect information about you from sources such as social media when you choose to provide it to us. Rack Room Shoes collects information through cookies and beacons (as discussed below) but none of the information collected through cookies or beacons is personally identifiable. If you have submitted Personal Information and would like to change that information, please log in to your Rack Room Shoes Rewards program account and edit your information. If you are not a member of the Rewards program, you can follow the instructions in the "Opt Out Policy" section below to stop receiving e-mail and/or text communications from Rack Room Shoes. A cookie is a piece of data stored on the hard drive of your computer, containing information about you. Our usage of cookies is in no way linked to any Personal Information while on our site. Cookies can make the browsing experience easier. For instance, by accepting a cookie from our site, we can provide you a more personalized experience while shopping, thereby saving time while on our site. Most browsers can be set to reject cookies or to ask you if you want to accept/reject an incoming cookie. If you reject the cookie, you may still use our site, although you will be limited in some areas of our site. Cookies can also enable us to track and target the interests of our customers to enhance the experience on our site. We also allow third party companies such as Google Analytics to place beacons, cookies or tags on our Site. Google Analytics utilizes cookies to gather information regarding use of our Site, which Google uses to generate reports for us regarding our Site. To find out more about how Google uses data when you use our Site and your options for controlling the information collected by Google from this Site, please click here. You may opt-out of having your activity on the Site made available to Google Analytics by installing the Google Analytics browser add-on, available here. We may provide you with promotional offers and other marketing communications by email unless you opt out of receiving such communications from Rack Room Shoes. If you wish to receive these kinds of communications by text message, please “opt in” to receive them by indicating your preference in one of our stores or in our online contact forms. At no time are you obligated to provide us with any Personal Information in order to use and enjoy our website. It is Rack Room Shoes’ policy to collect only that information that Rack Room Shoes needs to meet our customers' needs, conduct our business efficiently, and communicate special or specific offers to you. If you do not wish to provide Rack Room Shoes with your Personal Information, you will not receive certain communications and, you will not be able to purchase items on our website without providing your Personal Information.  If you agree to receive mobile text coupons or other mobile text communications from Rack Room Shoes, you agree that Rack Room Shoes may send any information, including promotional or marketing text messages, via text message to the phone number you provided. You are not required to consent to receive text messages in order to make a purchase from Rack Room Shoes in the future. If you want to stop receiving text communications from Rack Room Shoes, please see the “Opt Out Policy” section below for instructions on how to opt out. In connection with the uses outlined in this Policy only, Rack Room Shoes may share your information with our website hosting partners, vendors, subcontractors, agents, consultants and other service providers (“Service Providers”) to perform functions on our behalf when such sharing is required for the Service Provider to perform their functions on our behalf or to permit us to perform our functions. We do not sell any Personal Information concerning our users. We may also release your personal information to comply with the law or to protect our or others' rights, property, or safety. As with any business, it is possible that as our business develops, we may sell or buy online stores or other assets. In such transactions, information concerning customers often is among the transferred assets. Accordingly, in the unlikely event that our company or substantially all of our assets are acquired by a third party, such information may be one of the transferred assets. Rack Room Shoes values the privacy of its customers and visitors to this website. Therefore, Rack Room Shoes endeavors to comply with relevant ethical standards in gathering, using and safeguarding customer information that is entrusted to Rack Room Shoes. Please note that, despite our diligence, new technology is constantly evolving and Rack Room Shoes cannot immediately implement all new technology upon development. The website may contain links to websites maintained by third parties with which we have no affiliation, such as social media platforms. This Statement does not reflect the privacy practices of those sites, and you should consult the privacy policies of those sites to learn about their practices. A link to any third party site does not mean that we endorse it or the quality or accuracy of information presented on it. If at any time you no longer wish to receive communications from us, you are free to “opt out” of receiving these communications. a) E-mail Communications. If you would no longer like to receive e-mailed coupons, special events information, sales notifications or other messages from Rack Room Shoes, please click and follow the “Unsubscribe” instructions in your e-mail. Your e-mail address and other personal information will be removed from our marketing list. OPTING OUT OF RECEIVING E-MAILS WILL ONLY AFFECT YOUR RECEIPT OF MARKETING OR PROMOTIONAL E-MAILS. YOU MAY STILL RECEIVE TRANSACTIONAL EMAILS AND MESSAGES FROM RACK ROOM SHOES VIA TEXT MESSAGE OR OTHER METHODS TO WHICH YOU HAVE PREVIOUSLY CONSENTED TO RECEIVE. b) Text Messages. If you wish to opt out of receiving text messages, or if you believe you have errantly received a marketing text message without opting in to the program, you can cancel the program at any time by texting STOP RRS to 77550. OPTING OUT OF RECEIVING TEXT MESSAGES WILL ONLY AFFECT YOUR RECEIPT OF TEXT MESSAGES. YOU MAY STILL RECEIVE MESSAGES FROM RACK ROOM SHOES VIA E-MAIL OR OTHER METHODS TO WHICH YOU HAVE CONSENTED TO RECEIVE. You may text HELP RRS to 77550 to receive additional information regarding Rack Room Shoes’ Mobile Alerts Program. STANDARD MESSAGE AND DATA RATES MAY APPLY. WHILE RACK ROOM SHOES DOES NOT CHARGE ANY FEE FOR USING ITS SERVICE, YOUR USE OF THE SERVICE ON YOUR MOBILE PHONE OR ANY OTHER DEVICE IS SUBJECT TO THE STANDARD MESSAGE AND DATA CHARGES PER YOUR CARRIER’S RATE PLAN. Rack Room Shoes reserves the right to change our Policy as our business changes. If this Policy changes, we will post an updated Policy on our website. You can tell if this Policy has changed by checking the revision date and version number that appear at the end of this Policy. To assist you in acquiring additional information, the Rack Room Shoes site may have links to websites operated by third parties. Those websites will have their own policies on privacy that you may wish to review. Rack Room Shoes has no responsibility concerning the content or operation of these linked websites. Under California’s “Shine the Light” law, California residents who provide Personal Information in obtaining products or services for personal, family, or household use are entitled to request and obtain from us once a calendar year information which includes a list of all third parties to which Rack Room Shoes has disclosed Personal Information, as defined in California Civil Code Section 1798.83(e) during the preceding year, if any, with other businesses for their own direct marketing uses. If applicable, this information would include the categories of customer information and the names and addresses of those businesses with which we shared customer information for the immediately prior calendar year. California residents may request this information in writing by contacting us by email to customercare@rackroom.com with “California Privacy Request” in the subject line. In your request, please attest to the fact that you are a California resident and provide a current California address for your response. Please allow up to thirty (30) days for a response. Rack Room Shoes is dedicated to protecting the privacy of all of its customers, especially children under the age of 13. Additionally, the Children’s Online Privacy Protection Act (“COPPA”) requires that we inform parents and legal guardians about how we collect, use, and disclose Personal Information from children under the age of 13. COPPA also requires that we obtain the consent of parents and guardians in order for children under the age of 13 to provide certain information to us. The following is an explanation of our policies regarding collection of information from children under the age of 13. The term “child” or “children” below refers to such children under the age of 13 and the term “parent” below includes legal guardians. (b) Use of the Information and Disclosure to Third Parties. If a child registers for a sweepstakes or other promotion, we use the parent’s e-mail address to notify the parent of the child’s registration request and obtain parental consent (see below). All other Personal Information collected from the child will be used for the express purpose of operating the sweepstakes or promotion only, which may include notification to the child regarding rules and results of the sweepstakes and/or e-mail messages to the child regarding in-store or online promotions. In connection with such use only, we may share the child's Personal Information with our website hosting partners and certain third-party marketing services firms, as necessary. These parties have agreed to maintain the privacy and security of the Personal Information. In addition, we may share a child’s Personal Information with third parties to the extent reasonably necessary to: protect the security of integrity of our sites; to take precautions against liability; to respond to judicial process; or to the extent permitted under provisions of law, to provide information to law enforcement agencies or for an investigation related to public safety. Except for the limited disclosures described in this paragraph, we will not make any public disclosure (on our website or a chat page, for example) of any Personal Information provided to us by a child. As provided in the “How We Use Information” and “How We Share Information” sections above, we do not sell any Personal Information concerning our users. Presently, no child's personal information is disclosed to third parties. (c) Parental Consent. 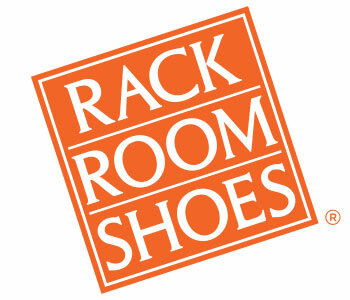 If Rack Room Shoes has actual knowledge that any child under the age of 13 has attempted to provide any Personal Information, we will send an e-mail to the parental e-mail address provided to us, and allow the parent to verify the child’s submission (and our subsequent collection and use for a stated purpose) of Personal Information. If the parent does not consent to allow the child's submission (and our subsequent collection and use for a stated purpose), we will promptly delete the child's information from our database. If for any reason, the e-mail sent to the parental e-mail address is undeliverable or we receive no response after a reasonable period of time, we will delete the child’s submission as if the parent refused the child’s submission. In the event a child wins a sweepstakes or contest, and we want to publicize the name (and/or other Personal Information) of such child, we will again notify the parent at the parent's e-mail address and request that the parent provide his or her name and address for delivery of the applicable release and consent form. We will not publish or release the name or other Personal Information of any child as a winner of any contest without the express written consent of the child's parent. (d) Review and Deletion of Information. A parent can contact our customer service department at any time to review, change, or delete the Personal Information that we have collected from his or her child, or direct Rack Room Shoes not to collect any further information about their child. A parent may also expressly request that a child's information not be shared with those limited third-parties with which we may share information, as necessary (and except as may be required pursuant to applicable laws), pursuant to (b) above. If you need any further information, or have any questions regarding our collection of Personal Information, please contact us at customercare@rackroom.com.